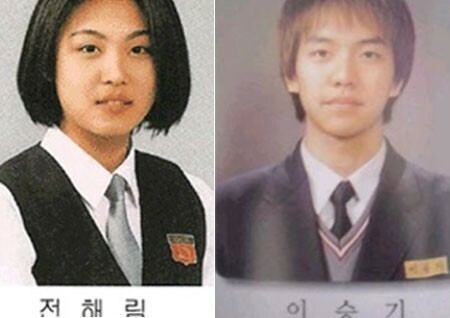 The high school graduation photos of Lee Seung Gi and Ha Ji Won bear a striking resemblance. The high school graduation photos of lead actor and lead actress in The King 2 Hearts were made public. In the photos, Ha Ji Won still maintain her beauty, while Lee Seung Gi looks fatter than he is currently, but the clear expression in the eyes has no major difference from now. The two persons in the photo have black eyebrows and big eyes, and partial tan color skin, making them looks even more like brother and sister. After seeing the photos, netizens commented, “They look really like brother and sister,” “I am enjoying the drama” and so on.